•	COMO EX CAMPEON MUNDIAL Y GRAN PELEADOR EL TENIA MUCHO QUE ENSEÑARLE A SU HIJO, MUCHA MAS EXPERIENCIA, MUCHA MAS MADUREZ, PERO EL HIJO DECIDIO DEJAR DE LADO LOS CONSEJOS DE SU PADRE Y HACER LAS COSAS A SU MANERA, DECIDIO DEJAR DE LADO LOS CONSEJOS DE UN CAMPEON Y SU SOBERBIA LO LLEVO A LA DERROTA. •	NUESTROS HIJOS QUIZAS NO SON BOXEADORES NI PELEADORES PROFESIONALES, QUIZAS NUNCA SE VAN A SUBIR A UN RING A PELEAR POR UN CAMPEONATO MUNDIAL, PERO LO QUE SI ES SEGURO ES QUE VAN A PELEAR POR SALIR ADELANTE EN LA VIDA, VAN A TENER BATALLAS POR ALCANZAR SUS METAS, VAN A LUCHAR CONTRA LAS TENTACIONES TODA LA VIDA. •	ESTA NOCHE VAMOS A TOMAR PRIMERAMENTE EL MANUAL DEL CAMPEON QUE ES LA PALABRA DE DIOS, PARA VER LOS CONSEJOS QUE UN GRAN CAMPEON LLAMADO DAVID LE DIO A SU HIJO SALOMON, PARA QUE PUDIERA ENFRENTAR TODAS LAS BATALLAS DE LA VIDA Y SALIR VICTORIOSO, PARA QUE FUERA PROSPERADO EN TODO LO QUE EMPRENDIERA. VEAMOS CUALES SON LOS CONSEJO QUE EL GRAN REY DAVID LE DIO A SALOMON Y APLIQUEMOLO A NUESTRA VIDA Y A LA VIDA DE NUESTROS HIJOS. 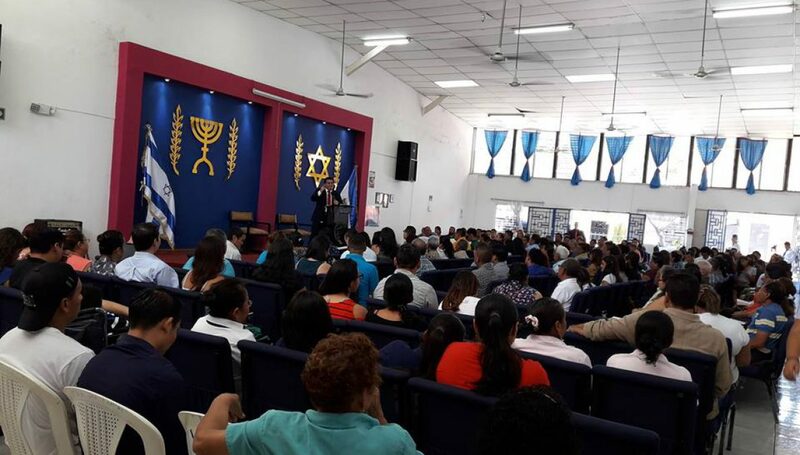 PRIMERAMENTE HAGAMOS UNA REFLEXION EN EL VS 1 : DAVID ESTABA YA EN SUS ULTIMOS DIAS DE VIDA, PERO ANTES DE PARTIR DE ESTE MUNDO QUIZO ASEGURARSE POR MEDIO DE BUENOS CONSEJOS, QUE SU HIJO PUDIERA VIVIR UNA VIDA DE BENDICION, LASTIMOSAMENTE MUCHOS DE NOSOTROS COMO PADRES PENSAMOS QUE SIEMPRE ESTAREMOS CON ELLOS PARA AYUDARLES, PARA RESOLVERLES NOSOTROS SUS PROBLEMAS, PARA NOSOTROS SACARLOS ADELANTE, PARA NOSOTROS PELEAR SUS BATALLAS Y NO ES ASI, TENEMOS QUE SABER QUE YA SEA QUE MURAMOS O NUESTROS HIJOS SE VAYAN DE NUESTRO LADO ELLOS LLEVARAN NUESTROS CONSEJOS TODA LA VIDA, NUESTROS HIJOS NO NECESITAN QUE LES RESOLVAMOS LOS PROBLEMAS, SINO QUE LES ENSEÑEMOS, QUE LES ACONSEJEMOS COMO HACERLO, COMO ENFRENTARLOS. •	DAVID LE DEJO ALGO BIEN CLARO A SU HIJO SALOMON: EL SEGUIA EL CAMINO DE TODOS EN LA TIERRA, ES DECIR QUE HOY EL ESTABA JOVEN PERO, AL IGUAL QUE DAVID, ALGUN DIA SU JUVENTUD SE ACABARIA. •	CUANDO ESTAMOS JOVENES PENSAMOS QUE TODO SE PUEDE DEJAR PARA DESPUES, QUE PRIMERO TENEMOS QUE HACER LO QUE NOS GUSTA, LO QUE QUEREMOS Y LUEGO HACER LO NECESARIO, LO IMPORTANTE, PERO NO ES ASI. •	PARA PODER SE UN BUEN REY SALOMON NO SOLO NECESITABA ESFORZARSE SINO TAMBIEN SER HOMBRE, PERO PARA QUE ESE CONSEJO APLIQUE TANTO A JOVENES COMO A JOVENCITAS TENEMO QUE TOMAR LAS PALABRAS DE JOSUE 1:9= ESFUERZATE Y SE VALIENTE!! •	MUCHAS VECES LOS PADRES LES HACEMOS UN GRAN DAÑO A NUESTROS HIJOS NO PERMITIENDOLES QUE HAGAN ESFUERZOS, NO PERMITIENDOLES QUE CONOZCAN SU CAPACIDAD, Y LOS HACEMOS DEPENDIENTES, LOS HACEMOS TIMORATOS. •	PERO TAMBIEN LOS JOVENES TIENEN QUE ENTENDER QUE EL ESFUERZO TIENE UNA PALABRA INSEPARABLE: VALENTIA. •	LA PALABRA GUARDAR ES EN HEBREO LA PALABRA “SHAMAR” Y SU SIGNIFICADO ES MUY INTERESANTE, PUES SHAMAR SIGNIFICA CERCAR ALREDEDOR, ES DECIR CUIDAR, PROTEGER. •	EL ÉXITO DE LA VIDA DE UN CRISTIANO DEPENDE MUCHO DE LOS CAMINOS QUE ANDAMOS Y DE HACER LAS COSAS A LA MANERA DE DIOS Y NO A LA NUESTRA. Publicado el septiembre 22, 2012 por Pastor Oscar FloresPublicado en SERMONES PARA PADRESEtiquetado CONSEJOS DE CAMPEONES, CONSEJOS DE DAVID A SALOMON, JULIO CESAR CHAVEZ JR, PORQUE FRACASAN NUESTROS HIJOS, SERMON PARA PADRES DE FAMILIA.